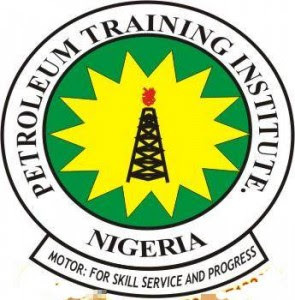 Applications are invited from suitably qualified candidates to the Petroleum Training Institute (PTI), Effurun 2018/2019 academic session National Diploma (ND is through JAMB), Higher National Diploma (HND) and Certificate programmes admission exercise. HND and ND candidates are to possess five (5) Ordinary Level Credit passes relevant to the choice of programme which must include English Language and Mathematics, while HND candidates must possess in addition to the above requirement, National Diploma (ND) relevant to their choice of programmes. For details see online admission prospectus for 2018/2019 Academic Session. Candidates applying for HND, General Welding and Commercial Diving Programmes are required to pay a non-refundable fee of Ten thousand naira (N10, 000.00) for each PTI admission form for 2018/2019 Academic Session. Fill in the On–line “Sign on page” and Click on “Click Here to Sign Up” at the bottom of the page. (Note: Write down the Username and Password for subsequent use). DATE FOR HIGHER NATIONAL DIPLOMA (HND) INTERVIEW: The interview for HND candidates will hold from 18th – 22nd June, 2018, at the Petroleum Training Institute, Effurun, Delta State. The transcripts of candidates offering HND programmes should reach admission office from the Institutes they graduated from on or before 15th June, 2018. The transcript should be sent through courier service. While coming for the interview, candidates should come along with evidence or the receipt of transcript fee payment. COMMERCIAL DIVING CERTIFICATE INTERVIEW: Diving Certificate interview will be held from 13th – 17th August, 2018, at the Petroleum Training Institute, Effurun, Delta State. CLOSING DATE: Online application for HND, General Welding and Commercial Diving Programmes closes on 31st May, 2018. LATE APPLICATION: Late on-line sales of HND, General Welding and Commercial Diving admission forms commences from 1st JUNE, 2018 and ends on 15th June, 2018 at the cost of twelve thousand naira (N12, 000.00).